If your wood furniture is looking a little beat up after years of wear, your iron can smooth out all of the indents from various bangs and bumps over time. 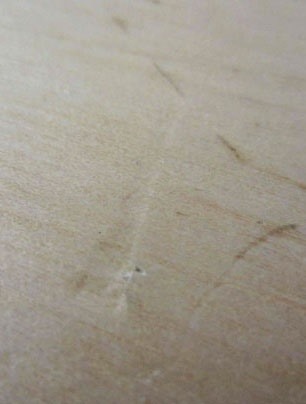 When used against soft wood, the heat from a clothes iron can lessen the marks present. As Natalie Espinosa of Apartment Therapy writes, ironing with water and a damp paper towel evens out indents on wood furniture, making them disappear almost entirely. Wet the mark you wish to eliminate, and place a damp paper over that space. 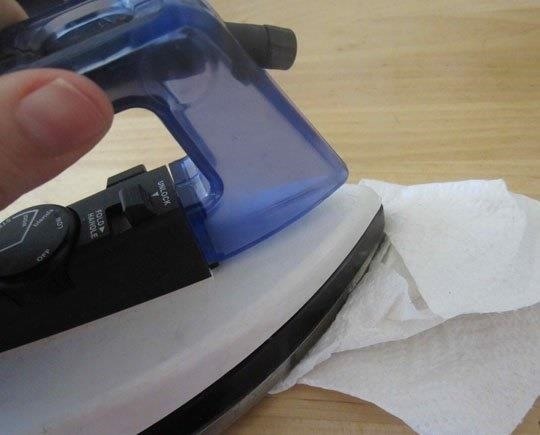 When your iron is hot, place it atop the paper towel and move in gentle circles across the surface of the dent. 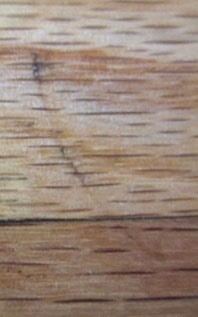 After a few minutes, the wood will rise, leaving barely any hint of the previous damage. This trick can even work for hardwood floors, as seen below. Candles are drippy in nature, leaving globs of their once-sticky wax behind on everything from tablecloths, carpets, tables, and glasses. If you need to get hardened candle wax out of a soft fabric or carpet surface, ironing is the answer. Nick Simeone shows that you can soften leftover candle wax easily with a paper bag, towel, iron, and cleaning solution. After you use the heat of your iron atop a paper bag, both set on top of the waxy spot, you've made it possible to remove the remainder of the stain with nothing more than cleaning solution and a quick towel rub. This method is also good for getting gum out or carpets and clothing. 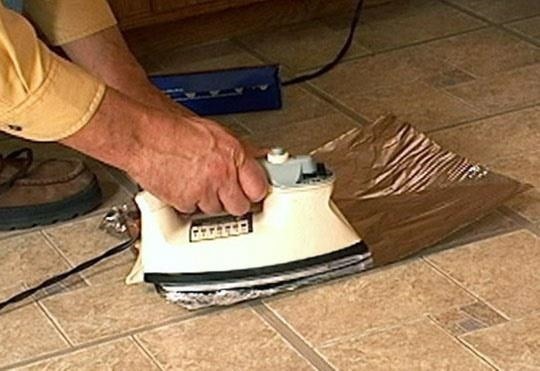 Your iron can also help you complete a bit of DIY flooring repair work, if you're fighting the curling edges of your vinyl floor. Rather than calling a repairman or dealing with the dirt and cost of new flooring, grab an iron, adhesive, and a piece of foil, as DIY Network demonstrates. They recommend first using your iron to heat up the problematic spot on your floor. Lay out your foil, and place the iron on top of it to get everything nice and hot. 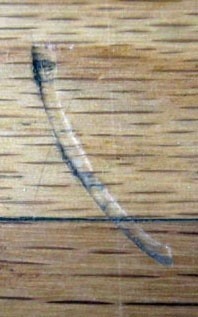 Soon, the vinyl will peel itself away from the floor itself, giving you enough room to apply adhesive. Once you're ready to smooth out and re-stick the vinyl, grab a rolling pin or the flat surface of your iron (cooled, not hot), and gently lay it into place. A trick that's been used by college students and those who find themselves without a stove, an iron can be the perfect cooking appliance when you're in a crunch. And what better way to grill a grilled cheese sandwich than with a direct, easy to use heat source? All you need to create a delicious sandwich are the makings of your typical grilled cheese—bread, cheese, and butter—and a bit of baking paper or tinfoil (we prefer the latter because paper will make it easier for the grease to touch the iron). Create two squares of foil, folding the edges inward, and place a piece of buttered bread on each. 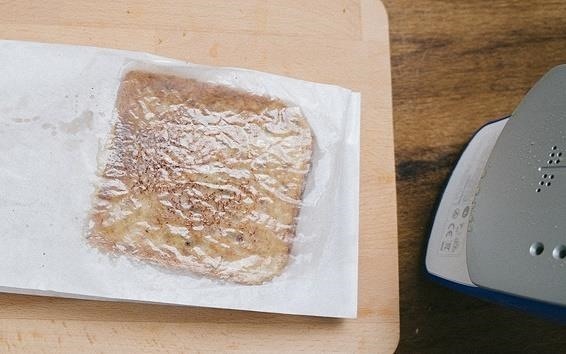 Assemble your cheese on one of these slices, and top that half with the other piece of bread and foil, making sure the foil covers the top of your stack. When your iron is hot and ready, place it atop the sandwich foil stack for 10 minutes. Next, flip the sandwich and foil over, and repeat. Once the bread is browned on both sides, you're ready to eat! You can also master this cooking method with a paper bag, though foil magnifies the heat of the iron for faster cooking. 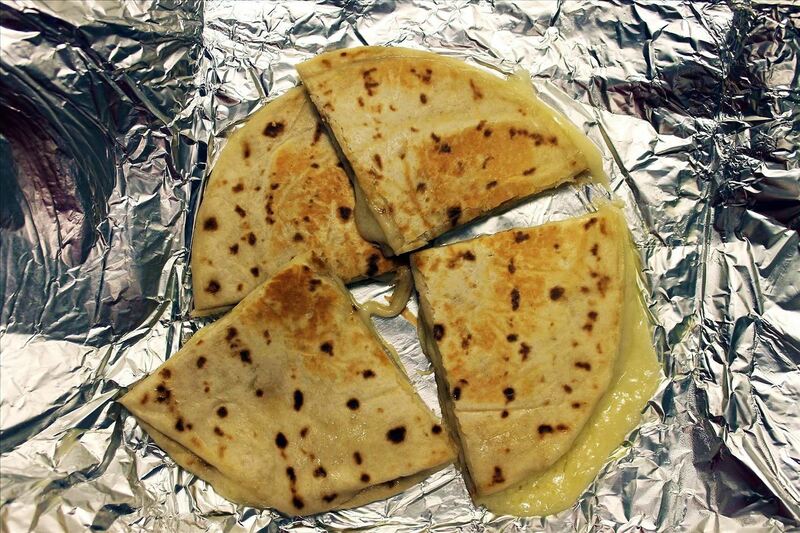 This trick also works for quesadillas. Don't have an iron handy? You can make grilled cheese in your toaster, too. If you aren't in the mood for a grilled cheese sandwich, you can cook an entire breakfast on the surface of your iron, too. Its hot metal plate is an excellent solution for quick, on the road breakfasts that don't require a stove. Grab your eggs and foil, and create a makeshift foil pan. Roll up the edges of the foil, and crack the eggs right into this fenced-in square. When your iron is hot, place the packet on top of the iron's metal plate and watch your breakfast bubble. Add some bacon to your meal by wrapping a few pieces in a packet of foil. Make sure the edges are rolled well enough to hold any spillover grease, and set the hot iron on top of the foil packet. After a few minutes, check to see how your meat is doing. When it's as crispy as you want, your bacon is ready! According to users on Reddit, an iron can seal your plastic bags for good, keeping anything you desire airtight and protected from outside dirt, invaders, and other things. Whether you're attempting to repair a torn plastic bag or need to seal one without a zip-shut feature, an iron gets the job done. Grab the plastic bag you'd like to seal, with its contents already inside. Fold a piece of aluminum foil over the open edges, covering them completely so nothing sneaks out. Run your hot iron over the foil, carefully keeping its metal plate over the foil only. This process melts the plastic beneath the foil, creating the perfect seal. Once the foil has cooled, you'll be able to slip it off and find a sealed piece of place beneath. Works for mylar bags, too! Have a gross, unsightly stain on your carpet or rug? You don't have to stare at it forever if you have a bottle of cleaning solution, a towel, and an iron. YouTube user MadreDeAudrina said that together, these tools can lift even the most set-in stains from fluffy floors. Spray enough cleaner on any given carpet stain, getting its surface damp, and cover the spot with a towel. Press your hot iron against the towel, moving it back and forth if needed to cover the entirety of the stain. As you press heat upon the stain and cleaner, you'll start to see the stain lift out of the carpet and appear on the towel. It may take a little time, and a bit of repetition, but after a few rounds of heat you'll find the stain has disappeared, returning your carpet or rug to its former glory. We've already covered how to lift dents and dings out of soft wooden furniture, but you can also use an iron to save your furniture from unsightly water marks. Chances are, there's a water ring, a leftover splash from a spill, or other rivers of water marks leftover on one of your wooden favorites. 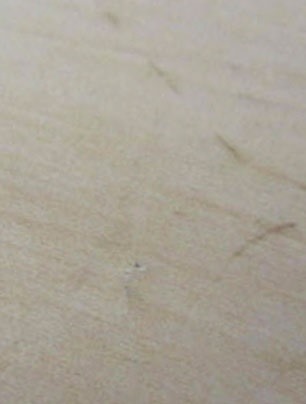 YouTube user ooffcouk can help you get rid of these faded marks with a dry cloth and hot iron. Simply set your iron to its lowest heat setting, lay the cloth over your desired mark of removal, and get the iron gliding across its surface. If the stain is particularly persistent, you can gradually increase the heat, but be careful not to leave an even worse heat mark in the shape of your iron. When it's time to remove old, outdated wallpaper, there's a lot of peeling, ripping, and pulling involved. Often, you're left with strips of shredded wallpaper hanging in a not-so-pretty pattern until you can figure out how to get the rest off the wall. Instead, grab your iron and make the job easier. According to YouTube user Nathan Payne, the steam function of any iron can help to ease the frustration of wallpaper removal. Hold your iron close to the wall, making sure to keep a small bit of distance. Once the iron is hot, use the steam setting to send puffs of damp, warm air onto the paper. This heat softens the glue, while the moisture helps ease the paper into submission, making your job easier. Life might feel as though it's become exceptionally difficult when you're without a microwave, but reheating your food doesn't have to require an oven or a stove. In fact, with a clothes iron and hair dryer, you can get the same even heat of a microwave almost as quickly. Heat up your iron as shown, then add foil over the metal plate if you'd like to keep your iron clean enough for clothing use. 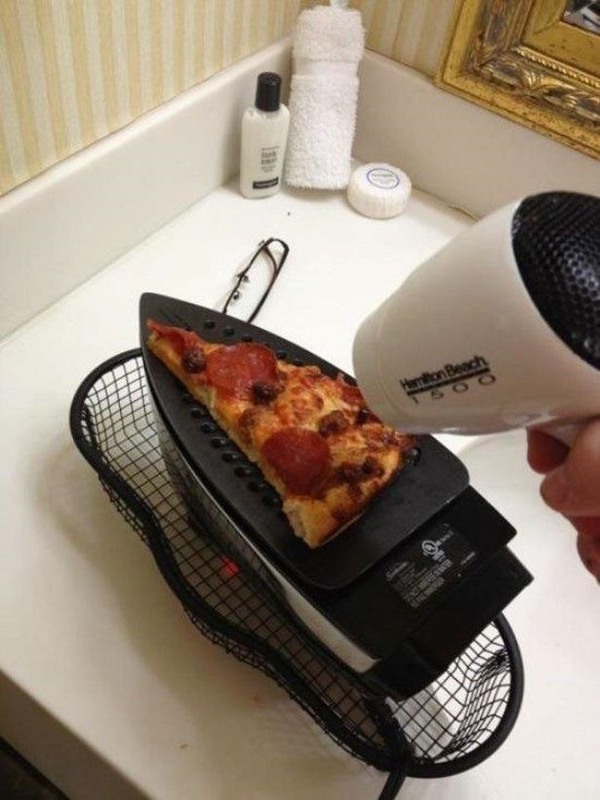 Add the heat of a hairdryer as the bottom of your food cooks, and you'll have an evenly-heated meal that saves you time and tastes just as though it came out of a microwave.